A list of the best freeware platformers released last year, in (more or less) alphabetical order. Click on title for permalink. Instructions on how to unzip .RAR and .LZH files can be found in this FAQ. 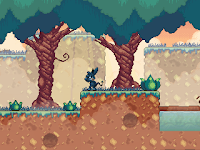 A Game with a Kitty 2: Darkside Adventures is the latest platformer release by Bernie, featuring a much improved gameplay engine and plenty of secret locations to discover. You take on the role of an Arch-Chancellor on a quest to retrieve the lost crown, which equates to plenty of jumping and throwing stuff around. The protagonist of the story can use the stars collected as weapons, but his inventory capacity will only allow up to thirty of them to be stuffed into his deep pockets. 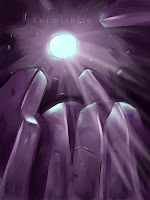 Special skills are awarded for surviving boss encounters, though certain jumps are pretty difficult to execute properly. Only four major locations in total, with an average of four to five short levels assigned to each. There are several tough puzzles to figure out but nothing too perplexing with a bit of thought. Needless to say, a recommended download for fans of classic NES titles especially the Mario series. Gambare Natsuki-San is an excellent puzzle platformer by Alpha Secret Base, borrowing a few elements from an obscure PSX game called Umihara Kawase Shun. The rope has been replaced with a metal gadget, able to extend and grab on to walls and ceilings. Press the Z key to activate it, and use the directional keys to move around while holding down the same button. Jump using the X key, and tap the C key to bring up the pause window. Selecting the third option from the main menu will take you to the tutorial, complete with demonstration regarding controls and advanced techniques. 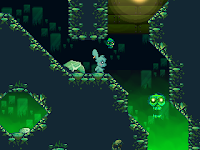 The objective of the game is to collect all food items, while avoiding water and contact with spikes. It's entirely possible to finish all fifty levels in one sitting. Very addictive and highly recommended. The Goonies 20th Anniversary is an excellent remake of the console classic by Retro Remakes competition veterans. Your quest involves saving a group of local kids trapped in an underground cave, and perhaps stealing a bit of loot while you're at it. You can punch at the enemies to protect yourself and collect vitality drinks to restore health. Like most platformers, there are a number of keys to collect in each stage though your character can only carry one at any time. A save function can be accessed from the main menu by pressing the k and control key at the same time. OSX and Linux versions are available as well. 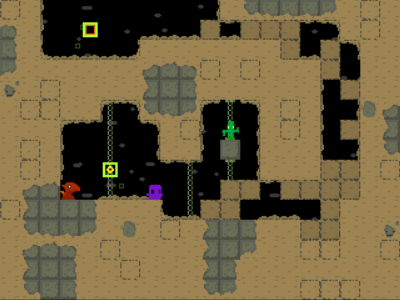 Lyle in Cube Sector is a platformer that is reminiscent of the classic Metroid series in more than a few ways. Exploration is a key element in this game, as you seek out the culprit responsible for the kidnapping of Lyle's lovable kitten. 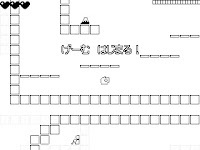 The protagonist starts off with no possession or special skills, but will soon acquire the ability to pick up blocks and use it to eliminate enemies or jump twice as high. Things begin to unravel pretty quickly once you have learnt a trick or two, plus there are many rooms to explore and secrets to discover. 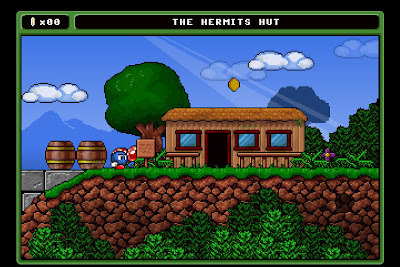 Don't be put off by the retro graphics, this is one quality effort that fans of classic platform games should not miss. The story of Knytt begins with an abduction and a crash landing on some unfamiliar planet, which means plenty of land to explore although there's hardly any interaction with other creatures. Save points are easily accessible, Knytt will glow red when in danger, and the shining beam of light will assist your search for the necessary repair items. There's about sixty screens worth of adventure which equals to roughly an hour or two of play. Of course, this isn't a Nifflas production without several unlockables and secrets to reward the curious. 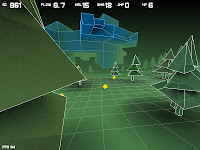 In Within a Deep Forest, you control a bouncing ball made out of different materials which is always in perpetual motion throughout the entire game. Starting off with the basic blue, your jump height will change depending on the type of ball in use. A comprehensive tutorial provides all the information you need, while solutions to most puzzles can be found in the forums. Press F1 to play in full screen mode. Controls in Noitu Love and the Army of Grinning Darns are stripped down to basics, featuring the standard punch and jump plus two more attack variations assigned to both the left control and shift key. Much like Capcom's Mega Man series, you get to utilize certain devices to change form and access special powers. The first few levels may seem repetitive but the game does get better after the second stage. Most of the highlights occur during boss battles, where each leader has to be defeated using different strategies. 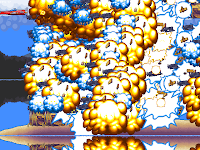 The final boss encounter is simply amazing, even when compared to other platformers freeware or otherwise. A word of advice, you'll miss out on quite a bit if the easy difficulty setting is chosen. Press alt-Enter to play in full screen mode. The developers of Painajainen had noted that this platformer was partly inspired by both of autofish's earlier efforts, namely seiklus and velella. Made in two weeks for a Finnish game competition, it chronicles the story of a boy trapped in his own dream. Finding and getting butterflies to follow your character grants you special powers, with subtle hints on each ability provided on the same screen. Press enter to access the map and a progress chart. A few bugs exist but can easily be solved by pressing the E key for a quick return to the starting point. The save game area is located just next to it. Dizzy has had it's fair share of halfhearted remakes. With Spud's Quest, fans no longer need to endure such indignity though our lovable egg has now been replaced with a protagonist named Spud. You can only carry three items at any time, so expect a lot of backtracking in this game. 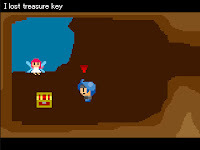 Treasure Tower is a game by David Newton that mixes a bit of WarioWare gameplay with platforming elements. Guide a noble knight through twenty rooms to reach the top of a tower and collect the treasure. Most of the actions available to you can be carried out by using the arrow keys. Press up to enter doors or activate switches. Tap the left shift key to jump. Run over items to collect them. You begin each game with 36 seconds on the clock, which can only be replenished by collecting food. Running into obstacles such as spikes or ghosts will cause you to lose valuable seconds. La-Mulana is a freeware free-roaming platformer game designed to look, sound, and play like a classic MSX game. It's heavily influenced by the classic Konami MSX game 'The Maze of Galious' and anyone who has played that title will probably recognize the similarities very quickly. You play the whip-wielding Indiana Jones-esque archaeologist Lemeza Kosugi as he investigates the ancient ruins of La-Mulana in an attempt to find its treasure and one-up his father, who is trying to get the same treasure as well. The game is huge, with many different areas to explore and dozens of items and weapons to find. Each area has a large variety of puzzles and traps and you need to solve the puzzles in each area to discover the Ankhs and Ankh Jewels, which allow you to fight the eight Guardians of the ruins. To solve the puzzles you'll need to be able to read the tablets scattered throughout the ruins, which will require a Hand Scanner and translation software for the portable MSX that Lemeza has brought along on the adventure. Your Hand Scanner will also allow you to find items and search the bones of less fortunate adventurers. Lead your team to the top of the premiership using strategy and cunning in this unique card-based football game. Soccer Cards 2 is a football game quite unlike any other. An addictive game of chance that you influence with your skill. Choose your match cards revealing a situation in play, such as a goal, shot, pass, tackle, penalty, etc. Use your strategy options to increase your scoring chances and thwart your opponents. The new Shoot the Core is up. New screenshots from Riva Runs added to Crobasoft's web site. The Forgotten Element has a new web site. Blocksum replays in .dat file format can be downloaded by clicking on the numbered rankings on this page. Mr. Blocko: Super Tournament Edition updated. 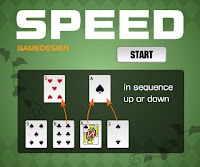 Speed is an alright card game by the creator of Dice Wars, in which the player has to discard all cards in hand before the computer AI does. This is achieved by placing a card which is sequential on specially marked areas. 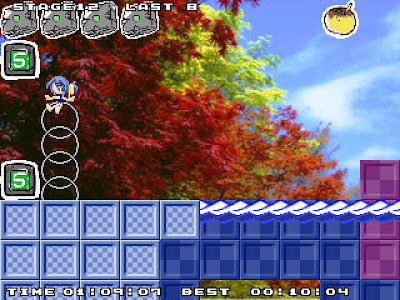 Each stage introduces increasing difficulty. In Excellent Bifurcation, the aliens have attacked and their ability to exist in either or both of their world and ours has given them an almost unsurpassable advantage. Take command of a special fighter craft capable of existing in both realities at once and drive them back! The form your fighter takes on the left has double fast-firing cannons and can charge to release up to eight seekers. It is ideal for destroying small and weak but numerous enemies. The right-hand form has a single powerful cannon which fires slowly but does far more damage, and is more suited to taking out larger enemies. It can charge up to release a wave which passes through things, damaging them as it goes. You can switch them between the worlds depending on what kind of firepower you need where. The only vulnerable parts of your ship are the white parts at the centre. This means that the small form is much better at dodging than the large one. The only dangerous parts of bullets are the brightest (yellow or white) parts. Also, if you are shot down the form which was hit emits a green shockwave instead of a yellow one. Press the Z key to shoot, X key to charge the special weapon, and C key to switch between two forms. Use the A key to activate autofire. You can change settings, like windowed vs fullscreen and whether it uses vsync, by editing init.txt. Doctor Who and The Daleks is a remake of and loving tribute to the classic console game Daleks. The game begins with the Doctor materialised on the surface of Skaro, homeworld of the terrifying Daleks. You control the Doctor, moving him with the number pad or the keyboard. Pressing S or five on the numpad is considered a pass move, where the Doctor stands still and the Daleks move. Every time the Doctor moves, the Daleks move closer as well. However, the Dalek troops aren't quite as smart as the Doctor. In their bloodlust they will collide with each other, leaving behind a pile of radioactive debris which other Daleks may collide with as well. So you'll want to make your moves carefully and try to lure the Daleks into each other. You are aided in your struggle by the Tardis, the Doctor's travelling machine through time and space. You can use the Tardis to instantly transport yourself to another place on the battlefield. Unfortunately, the Tardis is still an unpredictable beast, so you can't control where you'll appear. A teleportation counts as a regular move, so if you land next to a Dalek, bad luck there. Use the function keys to change the size of the game. 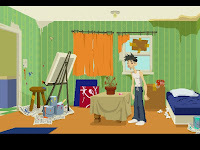 Ahh, episodic gaming, point-and-click fun, lovely absurdism and an exercise in alliteration. You just got to love the newest (can you believe it’s the third one released, already?) Sam and Max Episode: The Mole, the Mob and the Meatball. It’s funny, it’s well directed, it’s excellently written, it’s self-contained, it’s slightly psychotic, it must definitely be the cheapest just-released game in whole wide web and it’s the sole proof mankind ever needed to prove how perky and alive adventure gaming still is. Then again, it’s also far too easy and quite a bit on the short side, but guess I can live with these things. Especially when this is the only Sam and Max game ever to feature a hilarious, brilliant and jazzy Mafia song. Oh, and admittedly it does feature a whack-the-rat style minigame that’ll make Hit the Road veterans cry. And a great driving mini-game. And an amazing variety of puzzle types, which might not be tough, but are always entertaining. 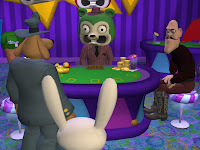 Anyway, back to the Mafia as, well, it’s quite central to the plot, for it’s the Mafia and Ted E. Bear’s Mafia-Free Playland and Casino you’ll be unleashing the investigating duo upon. In a search of a mole no less. Still, that’s all you’re getting out of me… Them Spoiler-dudes have already given me two warnings… I’m confident there won’t be a third. My lips are sealed. You, on the other hand, have to play this game. Now. It will hit worldwide audiences at the 8th of February. 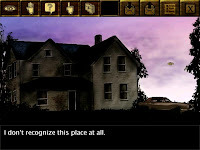 Deathchase: UFO is a lo-fi remake of classic ZX Spectrum game 3D Deathchase by Mervyn Estcourt. 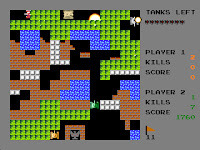 It was made for the Four Colour Mini Competition held by Retro Remakes, which required games to use 160x100 pixels display with only 4 shades of gray similar to TI calculators. 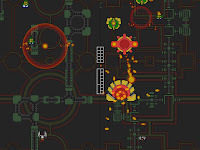 Chase down and destroy evil alien saucers throughout the 8 sectors. Avoid crashing into trees. Aliens can be shot only in close proximity. When they are in range an indicator in bottom right of the screen will start to flash. There are 4 saucers in each sector although you can expect more on the later stages. Special bonus is awarded for clearing all of the 8 sectors. Theo DaCabe, a surveying officer for Buckinghamshire County Council, is assigned to run a routine health and safety assessment on the headquarters of a fad religion called Optimology. Little does he realise that he is about to be caught up in the machinations of destiny, and a plot that has simmered for two centuries. INO-vation is an alright platformer by OMEGA, the creator of Every Extend. Guide your character around a maze and collect scattered objects to complete your collection of obscure items, with their uses unfortunately only described in Japanese. Within a Deep Forest 2 has been abandoned by Nifflas. The latest version is available for download from this page. A trailer for Cypherians Systems was recently posted on the Banq-it web site. As mentioned on Gnome's site: a demo for The Blackwell Legacy was recently released. More screenshots from Force Majeure posted. Shoot the Core writes about Magical Cannon Girl, a Comiket 71 release. According to The Podunkian, Fallen Angel Industries should return soon. New screenshot from The Spirit Engine sequel posted. It will not be freeware. In Battle City X, you play as a tank and your mission is to protect your HQ against enemy tanks. If you hit tank which is glowing red, a random bonus will appear. Expect to find extra terrain, new enemies, new bonuses, ability to load maps from files and saving your hiscore, all absent from the original game. Vampire Castle is an average platformer at best, with some rather unforgiving action sequences even at the easiest difficulty setting. Best to stick with Cave Story or Akuji the Demon, this one doesn't quite make the grade yet. Ovine by Design's remake of Driller is out. More info on this page. The horror series might be getting a 3D remake as well. Retro Remakes is currently running a four color competition. From the creator of Aveyond comes a new game called Grimm's Hatchery. This looks to be a casual game where you hatch and raise pet animals such as dragons and gryphons. The artwork looks top notch, and given the great work of the previous game, this looks to be another success for its creator. Funny that there was never an announcement in the Indiegamer forums. 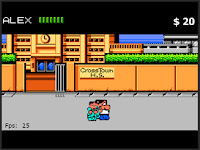 A demo of the NES classic, River City Ransom, remade in flash. Unfortunately it's only two screens of game, so there is little to do other than beating up opponents. Still, an interesting attempt that hopefully gets developed further. 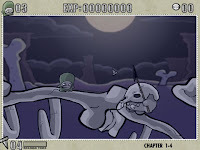 A music game made in flash. Using the mouse, spin the pink bar to the right spot in time to score points. Song selection is a bit limited, but will probably expand soon. 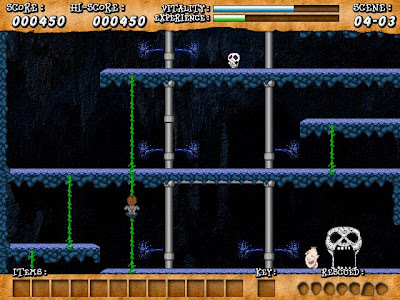 Xeno Raider is a short flash game by Babara. Explore a cave, collecting various items to progress through the game and ultimately save Princess Rena. Gameplay is somewhat like a simplified Zelda. Strangely, there is no HP meter of any kind, and you cannot be injured by enemies at all. The mouse-driven movement system can be a bit awkward at times, but is mostly manageable. Version 7 of my game Cultivation is available as a free download. Cultivation explores the social interactions within a gardening community. You lead one family of gardeners, starting with a single individual, and wise choices can keep your genetic line from extinction. While breeding plants, eating, and mating, your actions impact your neighbors, and the social balance sways between conflict and compromise. Cultivation features dynamic graphics that are procedurally-generated using genetic representations and cross-breeding. In other words, game objects are "grown" in real-time instead of being hand-painted or hard-coded. 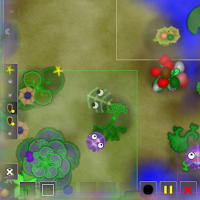 Each plant and gardener in the game is unique in terms of both its appearance and behavior. For those of you who have found Cultivation to be confusing in the past, the game now includes an extensive in-game tutorial. The user interface has also been polished quite a bit, and one crash has been fixed. This is the version that I will be screening at Slamdance this coming weekend, so it counts as a "final" version. Cultivation is certainly an unusual game, but that doesn't necessarily mean it's good. From my experience, some people absolutely love it, while others absolutely hate it. I'm pretty happy with this reaction (much better, I suppose, than everyone simply agreeing to shrug their shoulders about it). It's intended to be an "art game," after all, and mixed reactions go with that territory. This seems like an appropriate time to explain a bit about what I was trying to do with Cultivation. You can read the full article at Arthouse Games. The epic and bloody adventure of the psychotic Cereus Peashy... Take control of the legendary Golgothan Cereus Peashy and carve a bloody path across the vast desert. Download this deluxe offline fullscreen version of the game and collect shycons, throw spikes, travel far and wide, slaughter anything that moves... and become legend. Tetris, Puyo Puyo, Super Puzzle Fighter II Turbo and Lumines are some of the best puzzlers ever made. Soon you can add Blocksum to that equation. The game is rather simple to learn. Join a number of tiles together by using the Z key, and their corresponding number increases. Gather a large group of blocks with the same number to make them disappear. Grey orbs can be used to remove all blocks with the same number on the field simply by connecting it to a tile. Hold the X key to move the tiles upward. Press the C key to access a pause menu. Requires the latest DirectX version to run. Puzzle veterans will love the possibilites of chaining up combos with this one. Highly recommended. Rider V2 is a brilliant bike simulator with plenty of realism unseen in other similar attempts. The city is brimming with folks on their daily routines, which include the men in uniform doing rounds and will definitely halt your trip if any rules are broken. 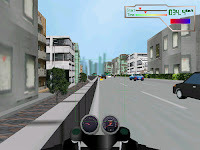 The position of the mouse pointer in the target reticle determines the bike's speed and direction. Don't speed or ride past a red light when an officer is around, else you'd risk incurring their wrath and at least a ticket if you're fortunate. There's a lot of personal touches added in, for example drivers turning on their signals before making a turn or even taking a smoke on a slow sunday morning drive. Warsow is a free open source first-person shooter game for Microsoft Windows and Linux. It uses a 3D engine based on Qfusion, itself a modification of Quake II GPL engine. 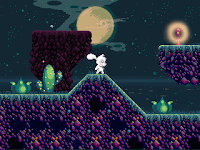 The game uses cartoonish graphics with celshading style, mixing dark, flashy and dirty textures to achieve a unique look. 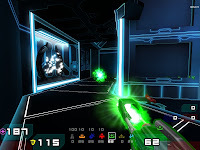 While Warsow is still early beta software, the Cyberathlete Amateur League has accepted it as a competition-worthy game since version 0.12, and its popularity is on the rise. Addictive 247 is offering all their games at low reduced prices for the next few days. A new video demonstrating enemy interaction in Penumbra: Overture was recently released. 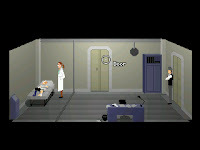 Plenty of screenshots from upcoming AGS adventure games posted here. A Cure for the Common Cold is a short AGS adventure game by Marina Siu-Chong, also currently developing The Hatmaker's Tale. The story. After spending years as a starving artist, you've managed to catch the eye of a influential gallery director. He wants to see some new work, and you've got a terrible cold that is draining your creativity. You'd better find a cure for the common cold, and fast! 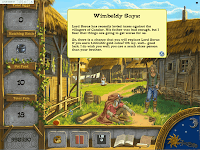 This game uses a Broken Sword point-and-click interface. Left-click to interact with a hotspot, or right-click to examine objects. Click on items in your inventory and then click on other objects to use them together. Move the cursor to the top of the screen and click on the pop-up menu to access the save or load function. If you need a reminder of the game objectives, these can be found by clicking on 'The Cure', also on the pop-up menu. 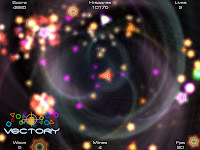 A beta version of an Asteroids remake was recently seen in the BlitzMax forums, Vectory is another shooter that features glowing shapes and brightly colored explosions as eye candy. Works well enough, though the gameplay is slightly archaic and will only please fans of the classic. Geometry Wars fans should look elsewhere, as this production doesn't contain the sort of franctic action that you've come to expect from this style. Night Effect is a decent versus fighting game by Gatling Cat, though the demo only features two playable characters there's quite a number of moves to experiment with. As usual, some configuration changes are required to play using the arrow keys. Click on the executable link just underneath the first screenshot to download the trial version. Interview with HandMade Games translated. Click here for more screenshots from another Spindizzy remake. 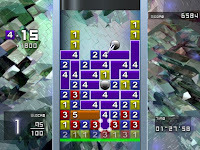 Colocoro is a brilliant action game involving the act of getting a metal ball to touch the blue exit area. Wii controller support is included, though it is still playable using the mouse or keyboard controls. Press the enter or space key to navigate the main menu. 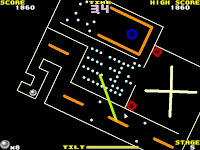 The kicker course involves using a plunger to move the ball around, while holding down the mouse button shifts the maze around in rotation course. The same act is required in rolling course, though the ball's speed depends on the length of the line drawn. You can only tilt the maze slightly using the left or right mouse button in Colocoro course, but holding down both will cause the ball to jump. Features an online high score table. Scroll all the way down for the download link.